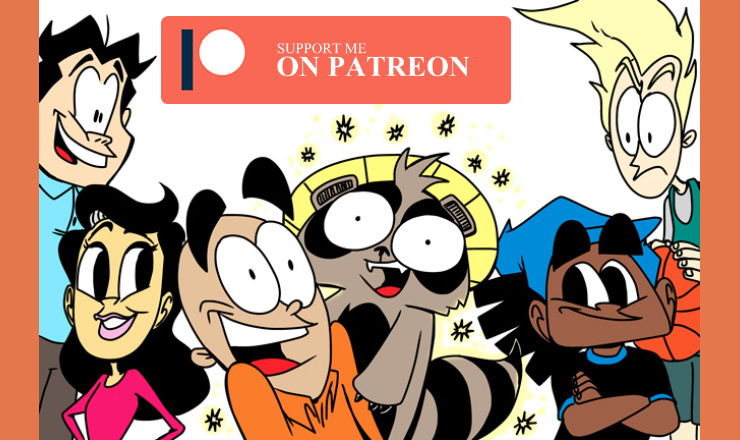 BECOME MY PATRON ON PATREON AND GET FC&S COMICS A DAY EARLY! I know I've never asked you for money to help me create FC&S comics before but after over four years it's time. My PATREON page is up at www.patreon.com/birdsong and you can show your fan support each month. If you're not familiar with PATREON, it's a crowd funding site similar to KICKSTARTER but instead of paying a lump sum at once, you pay a small amount ($1-$5) per month to help online creators make more work. I would love your patronage and you can receive cool things like the very first FC&S eBook collection of the first two hundred comic strips! It's only available on PATREON and you get ten extra pages of Making of FC&S sketches! You can also get FC&S comics a day ahead and Little FC&S comics a day before anyone else online! PLEASE CLICK HERE AND SHOW YOUR LOVE FOR FRIED CHICKEN AND SUSHI COMICS WITH PATREON. Thank you!